As a team, we first met each other thanks to youth birding program of the Society of Protection of Nature in Israel. From the beginning, it was clear that we were going to compete together as a team. 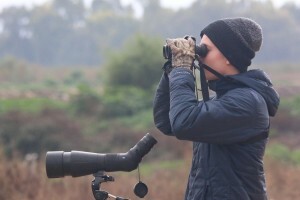 We decided to be in the same group because we have good friendship and connection between us and we like birding together; furthermore, we all care about the birds and mostly the nature in Israel, and we will do everything we can to protect it. We know that participating in COTF is one of the best ways we can do that, and we also want to inspire other kids and youth and to show them we are as good as adults, and most importantly to make people understand how important is to protect our birds! 1. To do our birding without disturbing the nature and its birds and animals. 2. To be as honest as possible: without any shortcuts. teams. Furthermore, we are glad to say that we are the first youth team who ever won a trophy in COTF history! 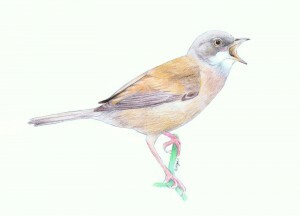 Please donate to our team and help us to help the BIRDS – you won’t regret it!! My name is Dvir Rudnicki and I’m 16 years old. I discovered the birdwatching world when I was in second grade and I went to the Jerusalem Bird Observatory with a classmate. I was really excited when I saw birds up close for the first time, and from that moment I began being interested in birds. At first, I joined several birdwatching trips of the SPNI, and then I took the next step and joined the Tel Aviv Youth Birdwatching Club. This year is my fifth year at the COTF, and I’m sure it will be amazing as the previous four were. The most important part of the race, for me, is raising money, to make sure that our kids will still be able to see the birds that are so important to us today. My name is Ori, and I’m 15 years old. 4 years ago I discovered the birding world, and since than I go birding whenver I can! I like to go on birding trips in the country, and participate in ringing activities. 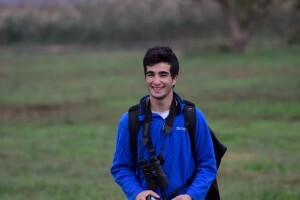 I met Dvir and Klil in the winter of 2016 in the NW Negev with the youth birding club and it was clear to all of us that there was a great connection between us, and we should participate in COTF as a team. I’m going to participate with ‘Team Spectacleds’ for the third time and I’m very excited for the race and hope we will watch more species and raise more money than last year. unique landscapes and wildlife. I aspire to get better in birding and to see as many species as I can, and Champions of the Flyway is the highlight of the year for me. It will be my sixth time in the race and I will compete with team Spectacleds for the third time. I’m looking forward to the race and I’m hoping to get the best from that day, to see many species and also to be able to enjoy all the unique wildlife and scenery, and most important to make a real change and to help the birds migrate safely. team Spectacleds during COTF over the past two years – this year I was promoted to senior driver, just before the kids get their own driving licenses and drive by themselves…. My name is Nitay Haiun and I’m 17 years old from Sde Boker and Haifa. I started birding six years ago and started ringing five years ago. I met the other members of Team Spectacleds on the trips of the youth birding clubs and now for the first year I will race with them in COTF. 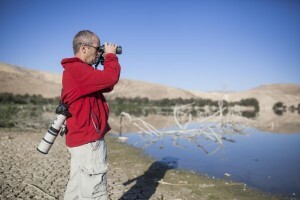 Since moving to Midreshet Ben Gurion I’ve many opportunities to enjoy birds and nature. I am also interested in flowers and butterflies. In this COTF I hope to see many birds and most importantly to be able to help the vultures in Kenya!